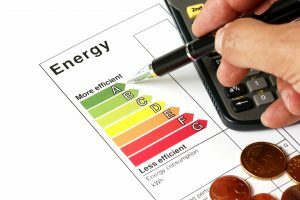 With the new Minimum Energy Efficiency Standards now in force, commercial property landlords are being urged to make improvements to their portfolios before their EPC certificates are due for renewal. From April 1st, any business properties receiving an F or G rating can no longer be leased when a tenancy agreement expires or a new one is set to be signed. Large numbers of landlords are already finding themselves facing significant loss of income under the MEES regulations as their properties have received lower EPC scores than previously and fallen into the F/G brackets. But as certificates are granted on an ongoing basis, other landlords now have the chance to make improvements to their properties – often relatively minor and inexpensive – in order to ensure a higher EPC rating when their assessment is carried out. Some properties have fallen foul of changes made to calculation methods and standards under the EPC guidance since certification was introduced in 2008. Key to securing a positive grade is keeping efficient record. EPCs report the carbon emissions from what are termed ‘regulated uses’. These include heating, mechanical ventilation, air conditioning, lighting and domestic hot water use. It is important to provide the EPC assessor with accurate information about items such as boilers as without precise performance data, he/she will have to make assumptions which could lead to a lower final score. Most energy efficiency improvements can be covered as part of an ongoing maintenance programme undertaken by most landlords. Some changes required to boost performance can also be paid for in part at least by the tenant which could, in the longer term, save them money. The Property Industry Alliance (PIA) report for 2017 shows that the average commercial lease length is now 7.2 years. While large organisations prefer longer leases, the vast majority of smaller companies want to keep leases reasonably short, so the issue of EPC ratings is likely to remain a talking point. And time is now ticking to the next MEES deadline of 2023, when it will become illegal for landlords to continue to let a commercial property once it receives an F/G rating for an EPC renewal. Next Post What policies will power post-Brexit Britain?